While searching Google for information on a troublesome Material Library, I ran across something I hadn't noticed before. Autodesk Inventor 2013 Update 2 is out, and can be downloaded HERE. The readme describes what's been addressed by the hotfix, so if you're seeing any of these issues, Update 2 is likely a good one to install. It's also important to note that Update 2 contains the updates from Update 1, so if you haven't installed Update 1, you don't have to go hunting in it down. In the zip containing Update 2 also contains a hotfix for Autodesk Vault; DL19384851, which fixes an issue with crashing when checking in files. 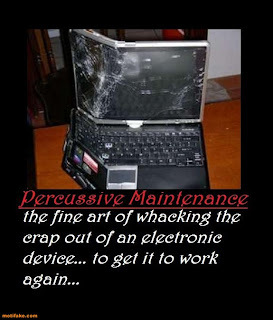 Today might be a good day for a little "Update Maintenance"! 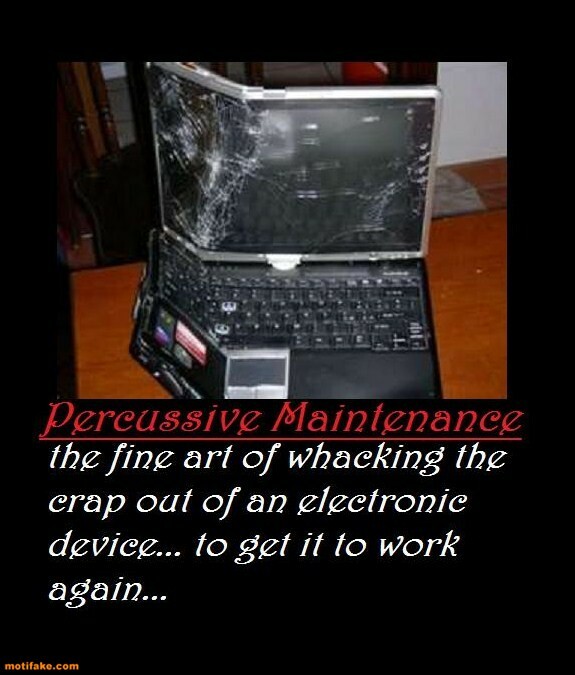 It prevents the more violent "Percussive Maintenance!" We've all wanted to do it!